12mm square, the illuminated JS Series tactile switch is SPST and momentary. 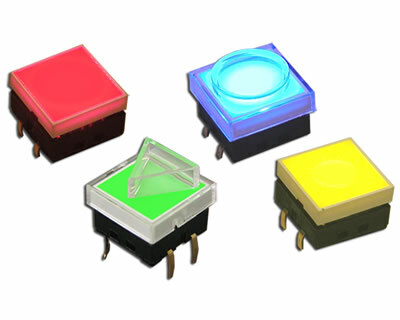 LED color options are red, green, yellow or blue. 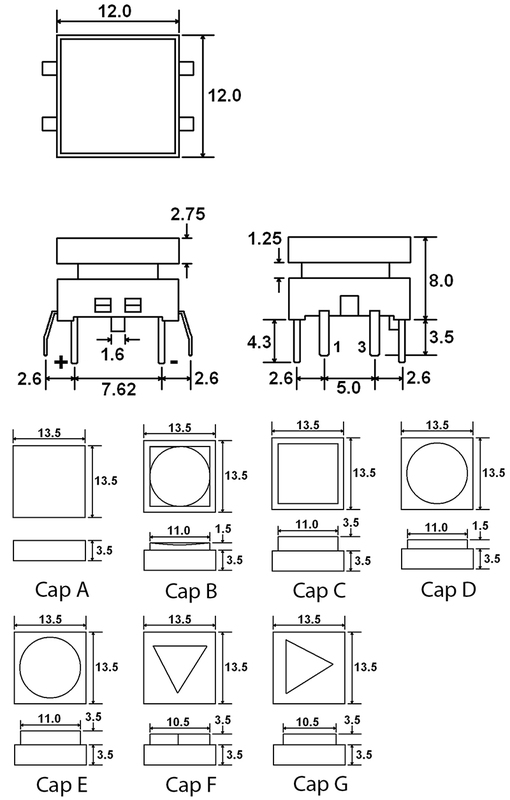 The JS Series offers seven different clear cap options that with choices such as round, square, triangle, round concave, and flush. This SPST switch features a 100,000 cycle electrical life.